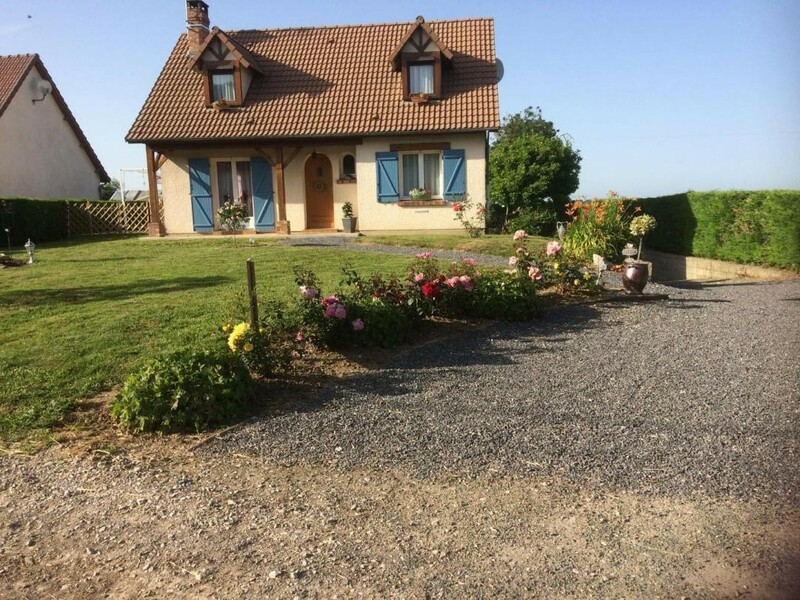 Detached gîte (105 sq.m.) near the Baie de Somme. Enclosed garden (500 sq.m.) with fenced pond at the back. Ground floor: fitted kitchen (fridge-freezer, Senseo coffee pod machine), dining room, sitting room (inset fireplace), bedroom (queen-size bed), bathroom, separate WC. 1st floor: 3 bedrooms (double bed) (double bed) (single bed), play/leisure area on landing. Private parking at the front. Electric heating (extra charge). Washing machine in basement.